Exhibit your products & services with the finest, easy to use portable display systems. We can magnify your best ideas and visuals in brilliant colour direct from your existing files. Our professional design team has extensive experience in producing effective displays for maximum impact. 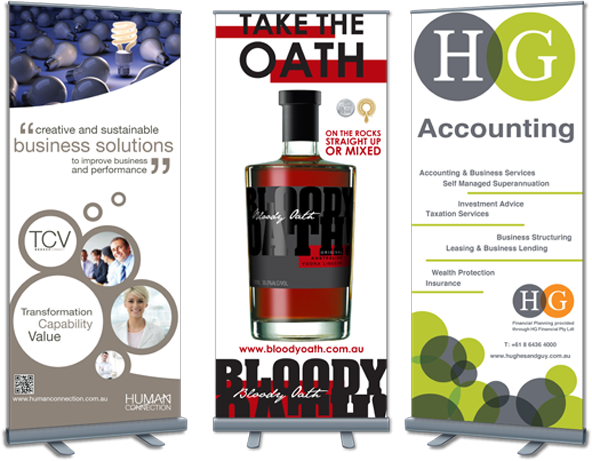 We can help with ideas for product posters, point of sale material and other exhibits for all occasions. We offer many different stocks, from photo satin and gloss, polypropylene, backlit film, and artist canvas. So display your advantage with pride with Total Digital your one stop exhibition solution.